Serving the Midwest with quality black oxide finishing. Specializing in the blackening of Steel, Stainless Steel, Copper, Brass and Bronze, and Cast Steel. Black Oxide is a conversion coating created by a chemical reaction with the oxidizers and the metal to form an integral protective surface. Application to ferrous alloys and metals begin as oxidizing salts react with iron magnetite, the "black oxide" of iron. This reaction creates a fusion resulting in complete integration with the metal and alloy it protects, adding less than 5 to 10 millionths of an inch to the dimension of the surface. Does black oxide require post treatment? 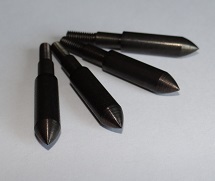 Black oxide does require post treatment to prevent corrosion. There are situations when post treatment may not be required. For example, if a piece will be painted after the coating is applied. Does Black Oxide add dimension? 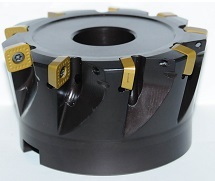 Black Oxide will not affect dimensional properties, adding less than 5 to 10 millions of an inch. How much weight can you process at one time? Any job weighing less than 1000 lbs. can be processed as long as it does not exceed our dimensional limitations. Jobs exceeding 1000 lbs. are possible. However, please call to discuss the dimensions of the piece before shipping to ensure that we can process your part. What are your dimensional limitations? Parts that are under 60 inches in length that do not exceed our 1000 lb. weight limit are possible. Pieces that are longer than 60 inches are possible. However, please call to discuss the exact dimensions of the piece before shipping to ensure that we can process your part. Can aluminum be black oxided? Can you black oxide threaded parts? Yes, threaded parts can be black oxided. The coating will not affect dimensional properties of the part. Can stainless steel be Black Oxided? Yes, 200 series, 300 series, and 400 series stainless steel can be converted. Do you process stainless everyday? Currently we process stainless parts 2 times per week. Please call us to schedule your stainless parts to be processed. ©Copyright 2014 Wayne Black Oxide, Inc.